Surgery can be a scary thing. Our cranio kids go through multiple surgeries at all stages of their lives and each procedure comes with a certain amount of anxiety and apprehension. Fortunately, our warriors know that a little humor goes a long way in improving the situation for everyone: the patient, the family, the nurses, the surgeons, and even pets! So this week, we're featuring stories about surgery on the blog ... with a twist! 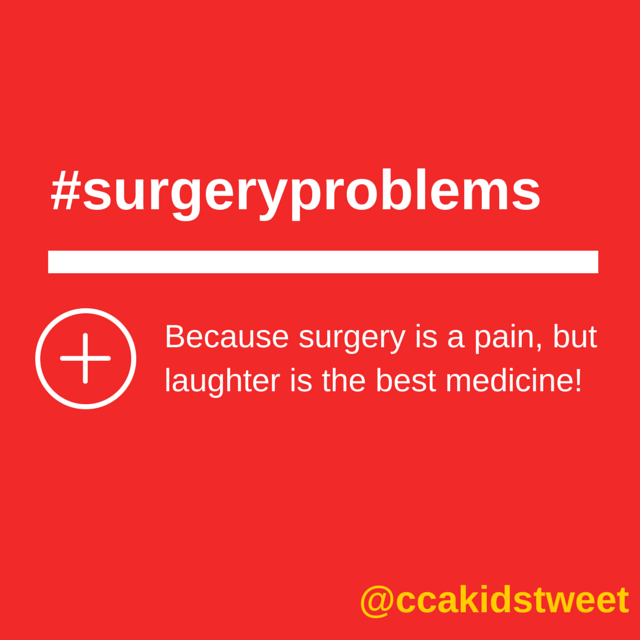 Check back each day for humorous tips, insights, and personal stories about going under the knife. 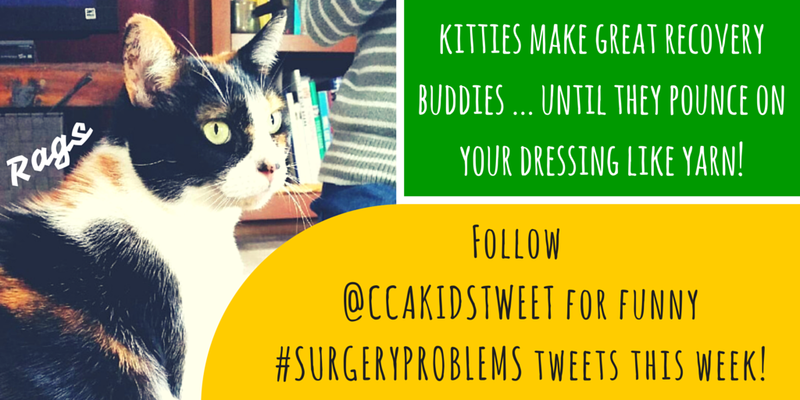 Tweet us your stories and advice using #surgeryproblems. Today's post is from Meg Storie. Shortly before I was diagnosed with GERD in 2010, I was in the hospital due to stomach and chest pain. I went through all kinds of tests. I told my friends and family through email from a public computer in the hospital lobby that it might be an "oyster." I didn't realize until it was too late. I meant to type ulcer. After I got home from the hospital, my husband encouraged me to walk around by asking if I wanted to go see the stray kittens in our neighborhood. "I really like the two color head one." I said. And that is how Rags came in the house to become my pet. Check out another post from Meg here.